Make your story come to life. We’re brochure professionals. Over the years, we’ve printed millions of brochures for companies across the Northwest that bring products, services, and brand stories to life. Our digital press and high-speed offset capabilities, operated by our expert staff, enable faithful and brilliant reproduction of your design and photography. We can do any size and type of fold you need, from half-fold to tri-fold, z-fold, and gate-fold, as well as custom-configurations. 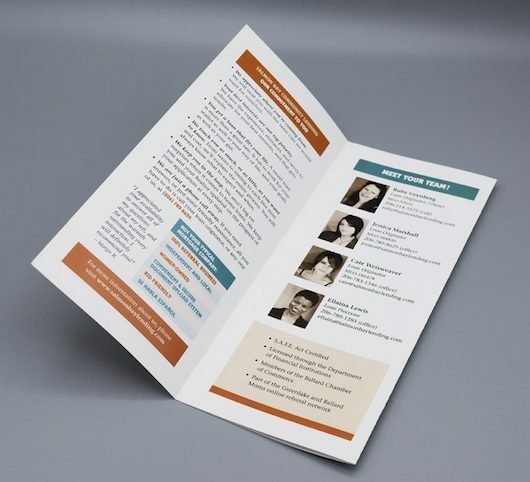 We also provide professional finishing services such as custom die-cuts and UV coatings to make your brochure truly shine.